This hand-signed 8X10 photo has been personally autographed by Ray Bourque. 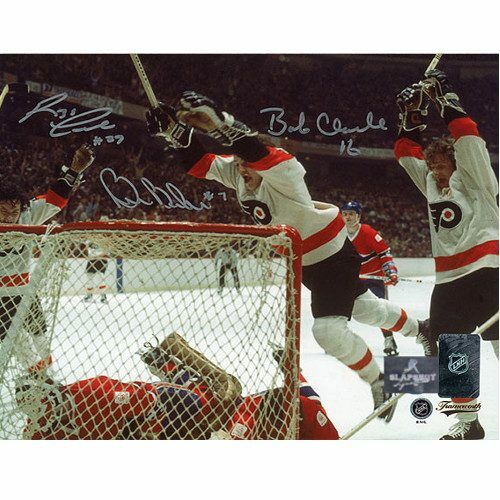 To protect your investment, a Certificate Of Authenticity and a tamper evident holofoil from Slap Shot Signatures is included. Ray Bourque was drafted 8th overall in 1979 by the Boston Bruins, for which he played for 21 seasons as a defenceman. Bourque made an immediate impact with the Bruins during his rookie season. He was known as one of the best defensemen in the NHL, not only for his defensive skills but also for his ability to score goals. 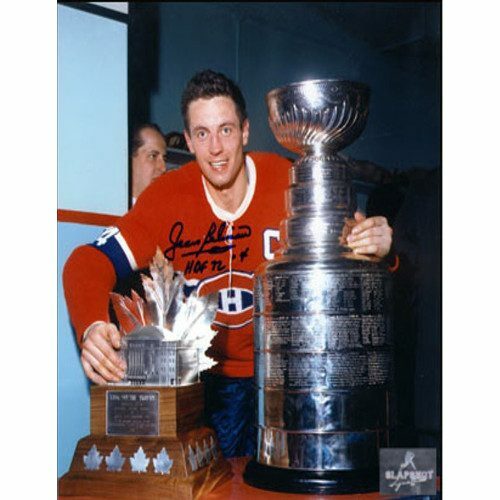 He finished his rookie season with 65 points, a record for a rookie defenceman at the time. He won the Calder Trophy for Rookie of the year and a First Team All-Star selection. In 1985, Bourque and Rick Middleton were made co-captains for the Bruins. Bourque would wear the “C” to away games, while Middleton would captain at home. After Middleton retired in 1988, Bourque became sole captain of the Boston Bruins and would hold the position throughout his tenure with the team, becoming the longest serving team captain in NHL history. Despite Bourque’s achievements and success during his 21 seasons with the Boston Bruins, his team had fallen short of a Stanley Cup win. The Bruins made it to the Stanley Cup Finals in both 1988 and 1990, where they were defeated both times to the Edmonton Oilers. The 1990 were difficult years for the Bruins and Bourque requested a trade during the 1999-2000 seasons when the Bruins fell to last place in their division. He was traded to the Colorado Avalanche, in the hopes of capturing the elusive Cup. Ray Bourque arrived in Colorado and quickly became a positive force both on and off the ice, helping to improve his team and capturing the division title. Unfortunately, they were defeated in Game 7 of the Conference final by the Dallas Stars. Bourque returned for his only full season with Colorado where he was named alternate captain. After 22 seasons in the NHL, Ray Bourque and his Colorado Avalanche won the Stanley Cup in Game 7 against the New Jersey Devils. After team captain, Joe Sakic, took the Cup, he immediately handed it to Bourque (without hoisting it), so Bourque could take the first victory lap around the ice. Bourque had waited longer than any other player who won Cup in NHL history having played 1612 regular season and 214 play-off games before winning his Stanley Cup. He announced his retirement shortly after and was inducted into the Hall of Fame in 2004. His number 77 was retired by both the Boston Bruins and the Colorado Avalanche making him one of 6 players to have his number retired by more than one club. Get a piece of NHL Hockey history with a Ray Bourque Bruins Signed Vintage 8×10 Photo!